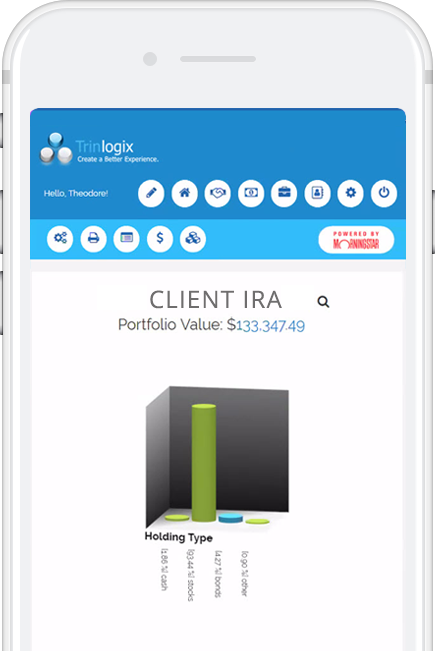 Trinlogix provides a variety of customized, white-label solutions to meet a multitude of needs for the financial service industry. We are proud to work with the following valued partners. Morningstar is an investment research company offering mutual fund, ETF, and stock analysis, ratings, and data, and portfolio tools. Trinlogix is proud to be powered by Morningstar. TD Ameritrade provides investing and trading services for individuals and institutions investing online. Interactive Brokers is a financial services company providing advanced technology and direct market access to stocks, options, futures, forex, bonds, ETFs and CFDs from a single account.